Remark: Hotel rates listed in below are inclusive of 10% service charge and 3% government tax. Personal expenses, such as laundry fee, damage fee, etc., are exclusive. Conference hotel official rate offered by China Travel Service (HK) Limited is USD188.00 per room per night for normal standard room. Hotel breakfast is USD21.50 per person per morning. For booking, please download the form and send booking to China Travel Service (HK) Limited. The Kowloon Hotel lies in the center of Tsimshatsui where has easiest access to Hong Kong's most excited Shopping District, The Hong Kong Cultural Center, the Space Museum, The Star Ferry, MTR Station etc. It is only 5 mins walk to Star Ferry Pier which you may take the ferry direct to Wanchai Pier and the conference venue lies right beside the Wanchai Pier. Conference Hotel official rate offered by China Travel Service (HK) Limited is USD118.00 per room per night with normal standard room. Hotel breakfast is USD14.50 per person per morning. From ACCOR hotels group, Novotel Century Hong Kong Hotel is located only 15 minutes walk away from the Hong Kong Convention and Exhibition Centre or 4 minutes walk to nearby Wanchai MTR station. Internet access is available in this hotel and Wireless broadband Internet access is also available with the purchase of the pre-paid card. Hotel breakfast is USD11.50 per person per morning. Owned by Chinese YMCA of Hong Kong, the Harbour View International House is located nearby the Hong Kong Convention and Exhibition Centre. It is only 5 minutes walk to HKCEC and 8 minutes to the Wanchai MTR station. Wireless Broadband is available in this hotel. Conference Hotel official rate offered by China Travel Service (HK) Limited is USD110.00 per room per night with normal standard room. Hotel breakfast is USD10.00 per person per morning. 10-15 minutes walking to Hong Kong Convention and Exhibition Centre and also nearby the Wanchai MTR station. Boardband internet access is available at cost. Special rate is offered for conference delegates. Conference Hotel official rate offered by China Travel Service (HK) Limited is USD85.00 per room per night with normal standard room. 5 minutes driving distance away from the Hong Kong Convention and Exhibition Center. The Charterhouse is another option for conference delegate. The hotel is located in between of Wanchai and Causeway Bay, both districts has one of the most entertaining restaurants and shops, the hotel is only 5 minutes walking away from the Times Square, Causeway Bay MTR station and the Happy Valley Horse Racing Course. Conference Hotel official rate offered by China Travel Service (HK) Limited is USD83.00 per room per night with normal standard room. Transfers to Central from Langham Place Hotel in the morning. Starts the walking tour from the heart of Hong Kong-Central. Learn and experience the culture of the Central, Mid-Level and Western District by foot. You will be able to visit the Western Market which has over 100 years of history, the fascinating shopping street, the longest escalator in Hong Kong and the magnificent architectures in Central where is the Centre of Finance. The tour will bring you back to the old Hong Kong where the native Hong Kong lives. Visit the Tai Fu Tai and Fan Tin Village which was built in 1865 by the Scholar of Man Can. Follow to Tang Chung Ling Ancestral Hall and Lam Tsuen Wishing Tree. Round up with the tour to the temple of Gods Man(literature) and Mo(Martial Arts). Visit Tai Po Market if time allow. Transfer to Hunghom Station and catch the first-class train to Shenzhen. Tour the city for a view of the first special economic zone and latest development. Visit the famous Terracotta Army Exhibition Hall. Enjoy dinner at local restaurant and taste the Chinese Cuisine. Head over to China Folk Cultural Village for an amazing evening show "Dancing with the Dragon and the Phoenix" which is performed by over 500 top dancers. Return to Hong Kong at night and transfer back to Hotel. Transfers to Ferry Pier and catch the high-speed, luxury ferry to Macau. 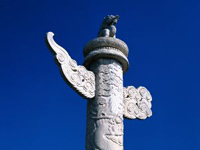 Visit the St. Paul's Ruins, cobbled Sendao Square and A-Ma Temple. If time permits, drop by one of Macau's renowned casinos. Return to Hong Kong by high-speed, luxury ferry and transfer back to Hong Kong in the late afternoon. The above tours are operated in English. English speaking local tour guide will be provided. Tour booking deadline: October 1, 2006. The above tour cost does not inclusive of visa to China / Macau, gratuity, personal expediture, etc.